Guangzhou Milk Oolong has this very distinct milk/cream aroma to the dry tea. There’s some mild floral notes to the tea itself, which is various shades of green. The oolong tea is tiny rolled and smells inviting. I love milk tea, although I’ve never tried a milk oolong before. The pricing is moderate, at least by DavidsTea’s standards. 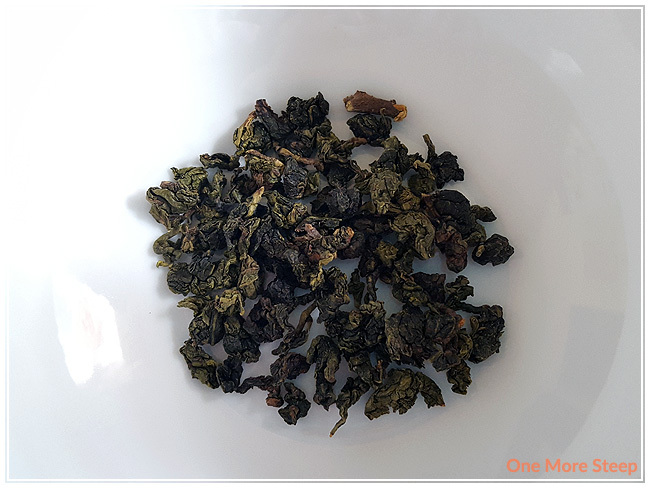 The ingredients for Guangzhou Milk Oolong are: Chinese oolong from the Fujian province, and natural flavouring. I can only assume that the natural flavouring might be the milk part of the tea because it smells like cream and milk so much. The label that my bag of tea came with says to steep in 85°C (185°F) water for 4-7 minutes. DavidsTea has updated their website since, and now recommends 75-80°C (167-176°F) for 4-7 minutes. I steeped my pot of tea in water that was about 80°C for 4 minutes. 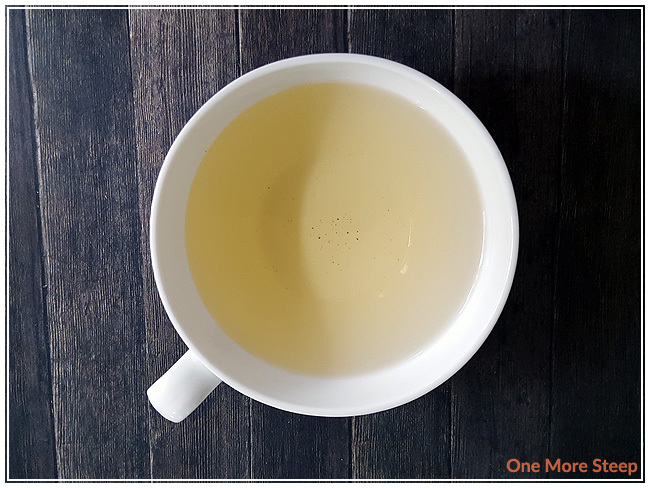 Guangzhou Milk Oolong initially steeps to a very pale yellow. There’s some subtle cream flavours in the tea that reminds me a lot of butter in both aroma and flavour. It’s very rich tasting, with that flavour profile that reminds me of buttery cream. It’s quite tasty though. There’s a natural sweetness to this tea that doesn’t require additional sweetener, in my opinion. That isn’t to say that you couldn’t added more sweetener to it, if needed, but I don’t think it necessarily requires it. 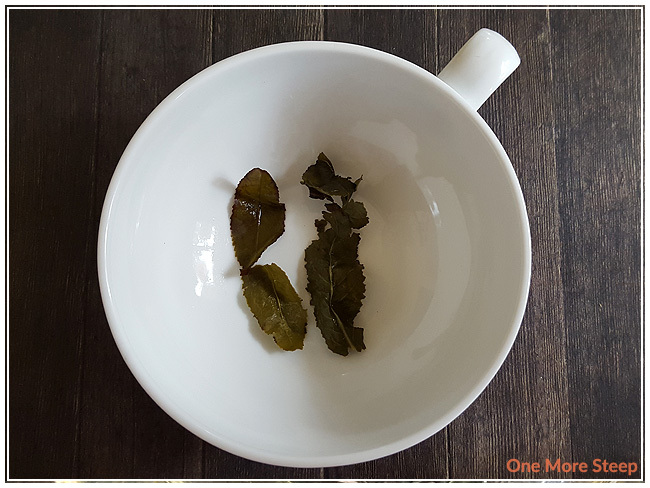 The tea leaves expand so much – this is definitely a tea that you don’t want to put into a filter bag because there would not be enough space of the leaves to expand sufficiently. As it is, I almost feel like my tea pot’s basket isn’t large enough. 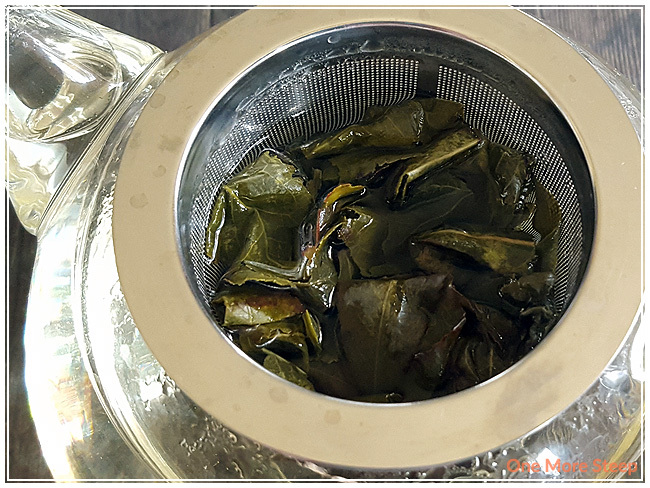 I resteeped Guangzhou Milk Oolong an additional four times with an additional 30 seconds or so for each subsequent steeping. This tea steeps to a deeper yellow every single time. The flavour of butter in this tea gets deeper and richer. It doesn’t get that much sweeter though, which is okay by me. The creaminess of the tea is just more pronounced, but it doesn’t feel like I’m biting into a stick of butter, so it’s fine by me. The tea leaves were fully expanded by the end of steep two, and are (for the most part) full leaves. 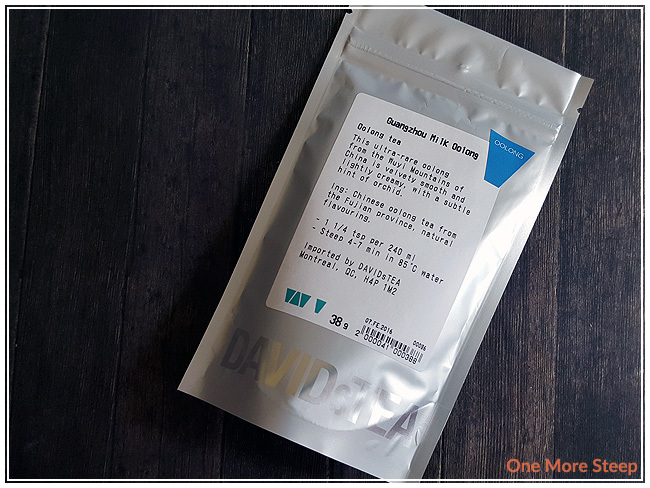 I loved DavidsTea’s Guangzhou Milk Oolong. It has such an interesting flavour profile that I really enjoyed the creaminess of the tea. Because it resteeps so well, I would recommend having this tea on a day when you can take the time to enjoy a cup of tea and resteep at your leisure. The ability of this tea to withstand one more steep after steep makes the price worth it, in my opinion. 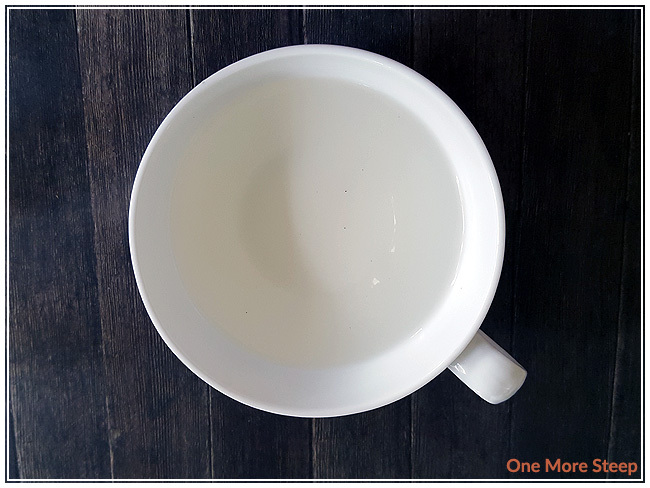 The great creamy flavour makes this tea interesting, and the flavour just gets better and better every time you steep the tea leaves.